“What do you want to be when you grow up" is an innocent question adults love to ask children. It tickles us to listen to as our young ones talk about being police officers, ballerinas, a favorite sports hero, a nurse, a doctor, a mommy or a daddy. It is enchanting being invited into the imagination of a young child as they dream about being a grown up. In the moment, I felt a little shamed and embarrassed but also very impressed. I thought, “Wow what a lucky girl to have a dad like that.” My brother, in that simple statement said my nieces character is more important than the job she does. The overindulgence research suggests that The goals of wealth, fame and image become a problem when they come at the expense of meaningful relationships, personal growth, and community contributions. So how do good hearted parents’ guide our children to be the best adults they can be and protect them from the potential risky gifts of the new normal of overindulgence? 2. We focus on the positive gifts of strong character. Brett Ledbetter, in his TEDx Building Your Inner Coach, discusses how having goals can be helpful, but what great college coaches have learned is that focusing on character development and process/skills produces winning teams and successful adults. 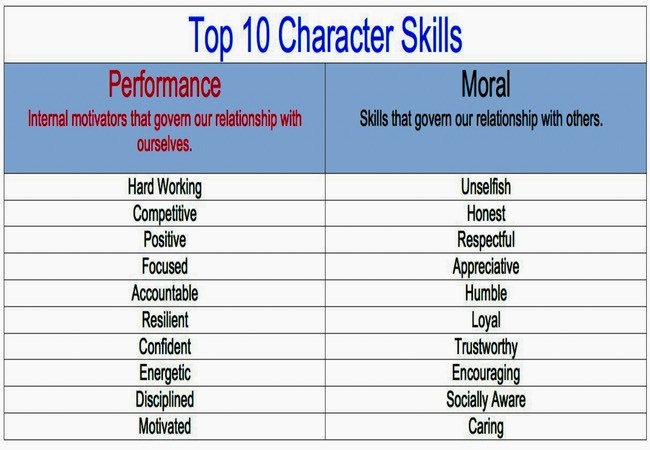 Here is a list of Character skills Leddbetter identifies in his talk. So, if we are focusing on character - Does it mean that I was a bad auntie for asking the question, “What do you want to be when you grow up?” Absolutely not, a little daydreaming is good for the soul. As adults who care about children, we want to balance daydreaming with fostering positive character strengths. ü When your niece responds that she wants to be a ballerina, you can mention that you see her practicing a lot, which is what good ballerina’s do. Then ask her to teach you some of her awesome ballerina moves. üThe next day when she tells you she is going to be a fairy princess. You can ask her what makes a good princess, and then dress up and pretend you are fairy princesses that care and help others. ü Instead of celebrating good grades- celebrate the hard work it took to get good grades. 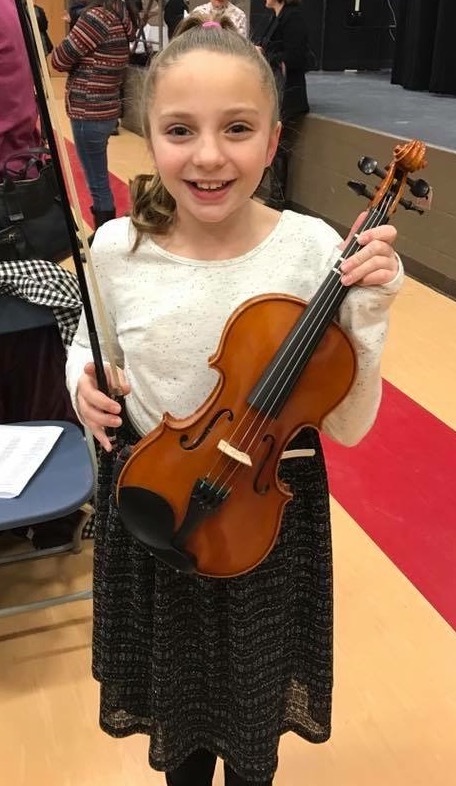 My niece is 11 now and with positive guidance towards character development, we are all watching her grow in a kind and loving girl that can do anything she puts her mind to. Photo courtesy of her mother and Lisa Krause, Graphic by Lisa Krause.